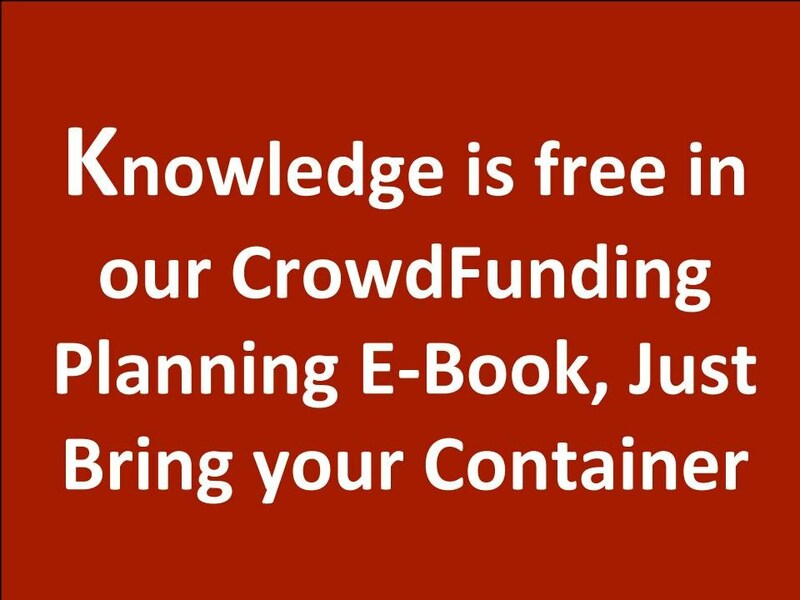 CrowdFunding Planning is focused on CrowdFunding education, promotion and consulting. Working on a global CrowdFunding education project, We are planning to co-create the first CrowdFunding Wiki based E-book. This "E-book" will be developed as an open wiki document. Find and Collaborate with CrowdFunding like-minded people and communities. To interact with people who amplify, invest, convene, build, learn & facilitate CrowdFunding . To ensure more effective creation and sharing of CrowdFunding knowledge and best practices to raise funds and innovate efficiently and effectively. If you like to join and be a co-creator and collaborator, please contact me at Contactus@CrowdFundingPlanning.com and just mention the word "E-Book" and what area or chapter(s) you be interested to collaborate on. Your name, organization and participation will be recorded and mentioned as a footnote in its receptive pages. Following is an outline one of the sub chapters and the mind map of the E-Book and examples of its contents. Camp Dev.- CrowdFunding campaign layout - Video - pictures - content - award details.